Plan your holidays and decide your Ibiza yacht rental with ALINA SAILING. Whether you are interested in renting a yacht for a day or for a week, our boat rental Ibiza Company is your best choice. You will not be worry about nothing. Our skipper will make your holiday unforgettable. If you are thinking about Ibiza yacht rental, there is not any doubt; Alina is your best choice. 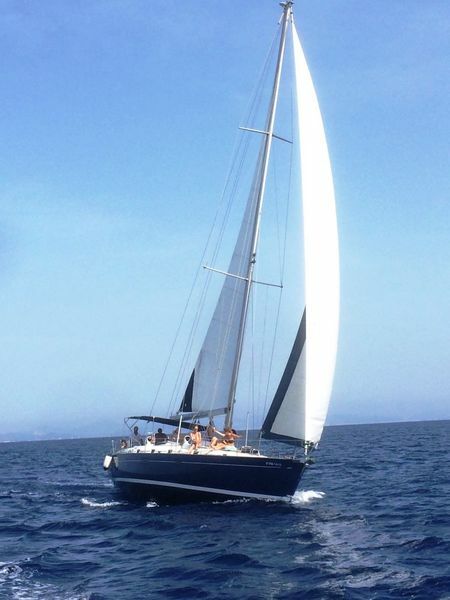 Alina is a skippered Ibiza yacht rental. We only charter this boat rental Ibiza with skipper. If you have decided to rent a yacht for a day with your friends you need to know that we can carry up to eleven people on board of your Ibiza yacht rental (11+1 crew). In Ibiza yacht rental trips for one or more days, we use to pick our customers up in the beach of Ses Salines, in Cala Jondal or in Talamanca, it will depend on the best sea and weather conditions. In boat rental Ibiza trips for one day we use to set sail to Formentera Island. When we will arrive to Formentera, Alina, Ibiza yacht rental, will anchor in some of the most beautiful shores of the islands like Illetes, Es Trucadors or Cala Saona. Our Ibiza yacht rental customers will enjoy the bath in its turquoise and crystalline waters. Another possible destination of our boat rental Ibiza customers is Es Vedrà. 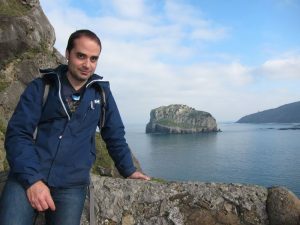 Our experienced Ibiza yacht rental captain will anchor in front of the enigmatic rock of Es Vedrà and, after enjoying this unusual place, we will head towards the cliffs of Atlatis and Cala D’Hort where our boat rental Ibiza friends will taste the best ‘paellas’ of the islands in some of the most famous restaurants in Ibiza. When we will arrive to our fantastic destinations in Ibiza and Formentera Islands, after anchoring, our boat rental Ibiza customers will enjoy the bath and may practice different activities as for example snorkel and paddle surf. We dispose of eight snorkeling equipments, one paddle surf and sunbathing mats on board of our boat rental Ibiza. Do not forget to tell our Ibiza yacht rental skipper the restaurants, ‘chiringuitos’ or beach clubs you wish to visit to make reservation in advance. Organize your perfect boat rental Ibiza with ALINA SAILING. But if you have more time, do not hesitate to book our boat rental Ibiza for several days, a week or a couple of weeks. In the Ibiza yacht rental of several days we use to pick our customers up in Cala Jondal, Talamanca or in the Marina of Ibiza depending on the best sea and weather conditions. In our boat rental Ibiza for a week we use to set sail to Formentera where we will visit: Illetes, Cala Saona’s Caves, Caló de S’Oli, Cala Baster and Es Calò. On the island of Formentera we usually book a buoy for a night in the protected Natural Park of S’Espalmador. On the island of Ibiza, our Ibiza yacht rental use to visit: Ses Salines, Cala Jondal, Cala D’Hort, Es Vedrà, Atlantis, Cala Tarida and Cala Comte. For those more adventurous customers of our boat rental Ibiza we can offer alternative routes away from the most frequented areas of the islands. Our boat rental Ibiza is perfect to spend one or more days on board among your friends or family. Alina, luxury Ibiza yacht rental, has all the necessary safety elements to receive children on board (children’s life jackets, stanchions for kids,…). 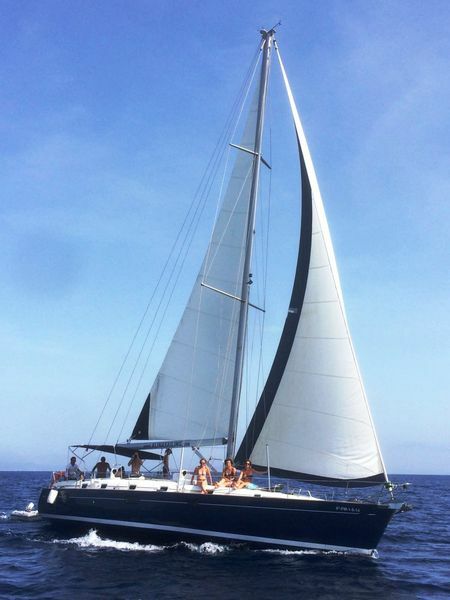 ALINA SAILING, Ibiza yacht rental, is perfect for four couples of friends with kids. 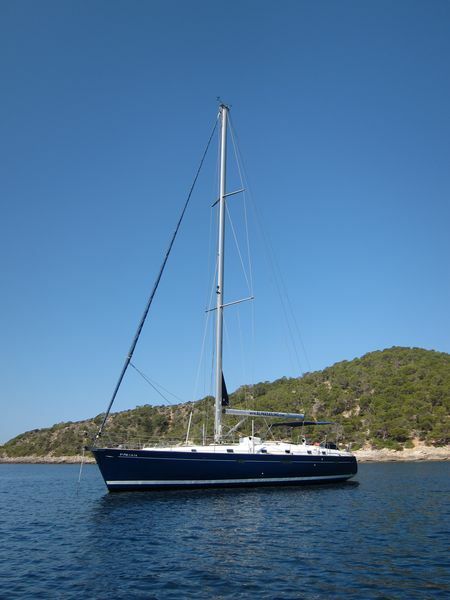 In weekly rentals we advise a maximum of eight adults on board our Ibiza yacht rental. Our boat rental Ibiza for weeks combines perfectly the nature with the nautical activities, fun, comfort and safety. Our Ibiza yacht rental team, a few days before your boarding, will take care of going to the supermarket to make the purchase of the whole week. You only have to send us an Email with your shopping list three days before your arrival. When you will arrive, all your purchases will be stored in the fridge and perfectly stowed by our boat rental Ibiza team. Boarding on Saturday at 14:00 P.M.
Disembarkation on Friday at 20:00 P.M.
Day charter boarding at 11:00 A.M./Disembarkation at 19:00 P.M.